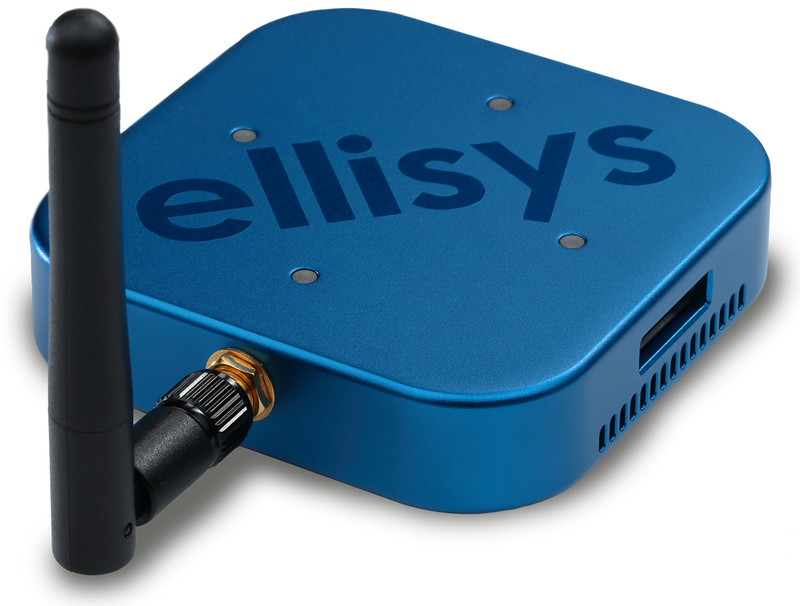 Geneva, Switzerland — January 17, 2017 — Ellisys, a leading worldwide provider of Bluetooth, Universal Serial Bus (USB), and Wi-Fi® test and analysis solutions today introduced its latest Bluetooth analysis solution, the Bluetooth Tracker™. The pocket-sized, bus-powered Tracker is designed to support concurrent capture and analysis of Bluetooth low energy and Wi-Fi communications, as well as a variety of wired interfaces, including logic signals, host controller interface (HCI) protocols (UART and SPI), Audio I2S, and WCI-2, all visualized over the widely adopted Ellisys software suite. The Tracker provides the convenience of single-platform Wi-Fi and Bluetooth low energy integration and an unequalled sub-microsecond correlation of these wireless technologies and wired interfaces. Bluetooth and Wi-Fi are each well-positioned to serve as key wireless communications transports for existing and emerging Internet of Things (IoT) applications, a market forecasted to comprise up to 50 billion objects by 2020. The Bluetooth Tracker supports one-click concurrent, synchronous capture of the wired and wireless communications technologies listed below. The Tracker is sold in several field-upgradable configurations to meet customer requirements and budgets. The unit is eco-friendly in that it does not require an external power brick, being conveniently bus-powered at its USB port over the computer control connection. Bluetooth low energy and Wi-Fi communications are increasingly co-resident in consumer electronics, industrial controls, and a wide variety of IoT markets, such as Smart Home, medical, industrial, health & fitness, and automotive. Growth in these markets is in large part enabled by feature enhancements defined by the Bluetooth 5 specification, announced in June of 2016 by the Bluetooth Special Interest Group. Bluetooth 5 provides for speed, range, and broadcast enhancements that are aimed squarely at IoT devices and applications. Understanding precise timing relationships, inter-protocol exchanges, and other interactivities involving these wireless technologies as well as characterizations of time-synchronized wired traffic like HCI interfaces and GPIO signals are highly desired features and are critical for developers working in these areas. IoT devices include embedded microcontrollers or physical sensors, and the ability to capture wired interfaces in full synchronization with wireless traffic, especially logic signals capture for GPIO and other sideband discrete signals associated with these microcontrollers and sensors will be very useful. While Bluetooth and Wi-Fi employ different transmission methods, they generally operate in a common spectral range and can interfere with each other at a physical level, leading to serious performance issues. The integrated, time-synchronized Wi-Fi and Bluetooth low energy capture capabilities on the Bluetooth Tracker complement existing wireless coexistence features pioneered by Ellisys engineers, including an RF spectrum analysis feature and a multitude of real-time analytical and statistical tools that characterize wireless transmission and reception performances. The Bluetooth Tracker is available for immediate purchase with shipments 2-4 weeks from order placement. Various configurations are provided to meet a variety of customer price and feature requirements. These configurations are provided in a series of editions, including Basic, Standard, Professional, and Enterprise. For more information, including software downloads, please contact sales@ellisys.com or visit www.ellisys.com/btracker.